According to a press release from Tigray Culture and Tourism Bureau,nine famous and veteran artists died in a tragic car accident in Ethiopia. They were on their way to Khartoum, Sudan when the accident happened near Kobo northern Ethiopia. The cultural squad was invited by the Sudanese government. The nine of them died on the spot where the accident happened. Seventeen serously injured artists were evacuated by military helicopters to a hospital. The funeral will be held in Mekelle city capital city of Tigrai state. We at Tigrai Online would like to express our deep sorrow and condolences to their families. Amounts for Worthington MN, DC, LA, and Minnesota not shown here. A joint statement of condolences from the Union of Tigreans in North America, Denver chapter and the Denver Committee for Abay Hydro-dam. 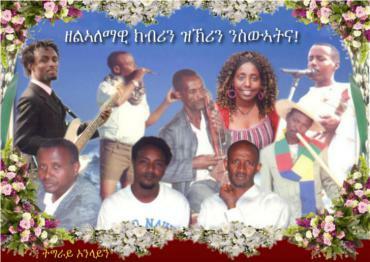 The TDA-Nashville Chapter members, and all Tigray community residents of the Nashville, TN and Clarksville, TN areas are deeply shocked and saddened by the sudden tragic death of the 9 and injuries of the remaining renowned Artists of the Tigray Police Orchestra our beloved and legendary men and women of Tigray. Words can not express our grief and we would like to pray that god rest the soul of the dead and full speedy recovery of those injured. We would like to express as well our deepest sympathy and condolences to their family members, friends, their comrades, the people of Tigray, regional government of Tigray and the Ethiopian people in general. We will miss them dearly and their hard work and sacrifice will remain eternally with us. Paraphrasing Churchill’s fames words, I can say “Never in the field of Ethiopian art has so much been owed by so many to so few. RIP. For those didn’t witness your deeds- but who will know you tomorrow. But never hesitated eat your fruits. Ashenafi, Letish, Habtom, and Haile. You have given us all your best. For sure! you will be remembered and always exist. It was a great shock to learn about the tragic death of the 9 members of the Tigrai Police orchestra. We are deeply sudden by the untimely death of these artist who's life exemplified resiliencey and selflessness.There are no word that can express how people felt when the news was heard. In this tragic time, the members of the TDA in North america would like to express our saddness and offer our condolences to their family and to the people of Tigrai. There are few moments in our life when we are speechless and this week will forever leave an imprint of sorrow and pain in our hearts and minds. 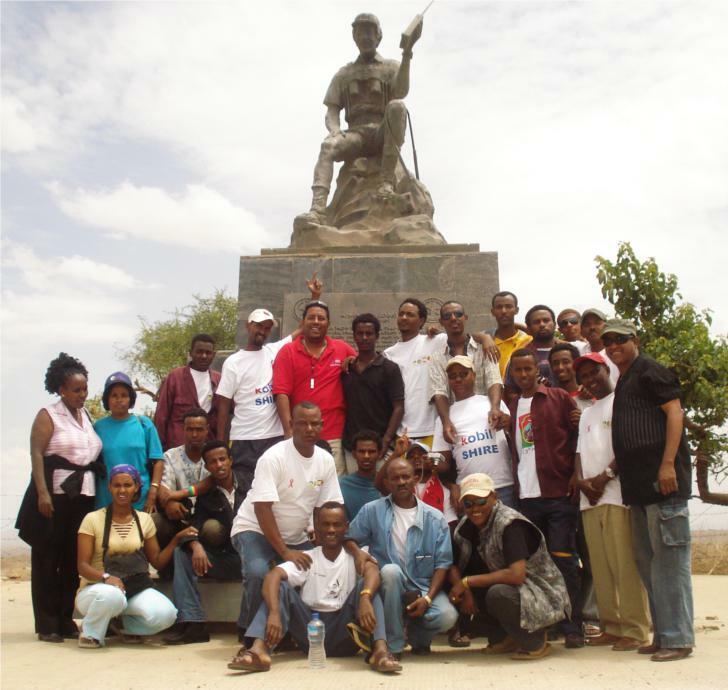 This week we have learnt the recent tragic death of nine members of the Tigray Police Orchestra. Words cannot alone express how shocked & saddened we are to hear the passing of our dearest and bravest brothers and sisters who have lost their lives. This tragic news has stunned the entire Ethiopian communities at home and aboard alike, especially the United Tigrean Youth Network. These legendary artistist were men and women who have had dedicated their lives to the betterment of our people. It was not by coincident then those brave men and women lost their lives while on a routine mission on behalf of their beloved people. These unselfish Artists' have touched every one of us, directly or indirectly, we are lucky to have know them thru their cause and music. United Tigrean Youth Network will always cherish their memories and challenge ourself to raise to the occassion and help carry out their mission to continue the development objectives and to fulfill their dream of flourishing the region of Tigray and the people of Tigray. In the mean time, we would like to express our deepest sympathy and condolence to their family members, friends, the people & government of Tigray. We will miss them so dearly and treasure their memories forever.